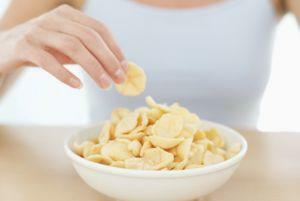 The brain may play an important role in deciding what we like to eat when we are younger. New research has suggested that a gene in the brain is responsible for influencing what food we choose to eat during the earlier years of our life. A new study published in the journal Appetite has revealed that this gene is linked to overeating and obesity, especially in girls during childhood. Dr Patricia Silveira and Professor Michael Meaney of McGill University and Dr Robert Levitan of the University of Toronto, who led the study, came to the conclusion that obesity had three main causes: genetic predispositions, emotional well-being and environmental stress. The study has given scientists an insight into why some children might be inclined to overeating through no fault of their own, when traditionally obesity has been blamed on poor food choices and a lack of self-discipline. Prof Meaney, who is also the associate director of the Douglas Mental Health University Institute Research Centre, said: "In broad terms, we are finding that obesity is a product of genetics, early development and circumstance." These findings came as part of a collaboration with Maternal Adversity Vulnerability & Neurodevelopment (MAVAN), in which Prof Meaney worked with Helene Gaudreau, the project coordinator. They studied pregnant women - some of whom lived in poverty or depression - and followed their children's development from birth until they were ten years old. For this research, 150 MAVAN children were studied. The children were presented with two options for a meal - a healthy and a non-healthy option. In addition, mothers completed a questionnaire to give an indication of their children's typical diet and food preferences. Dr Silveira said: "We found that a variation in a gene that regulates the activity of dopamine, a major neurotransmitter that regulates the individual's response to tasty food, predicted the amount of 'comfort' foods - highly palatable foods such as ice cream, candy or calorie-laden snacks - selected and eaten by the children." "This effect was especially important for girls who we found carried the genetic allele that decreases dopamine function," she said. Prof Meaney added that a combination of genetic predisposition and emotional wellbeing can encourage people to eat foods that promote obesity. The quantity of comfort foods that four-year-old girls ate in the tests helped the scientists to accurately predict their weight at six years old. He stressed the importance of identifying children who were predisposed to overeating and address the situation through counselling. Another recent study showed the link between girls eating products high in fat during puberty and breast cancer development, highlighting the importance of maintaining a healthy, well-balanced diet. Scientists found that before tumours grew, changes in the breast were noticeable, including increased cell growth and alterations in immune cells. Those conscious of doing all they can to maintain a healthy, well-balanced diet might be interested in complementing the foods they eat with nutritional supplements designed to ensure the body is getting all of the essential vitamins, minerals and nutrients it needs to carry out vital biological functions. One such complex might be KBG Algae, available to buy either online or over the phone from the Really Healthy Company. The broad spectrum formula - which contains vitamin B12, high-quality protein, beta-carotene, chlorophyll, and fatty and nucleic acids, amongst other things - is one of the most popular supplements on the healthfood market.